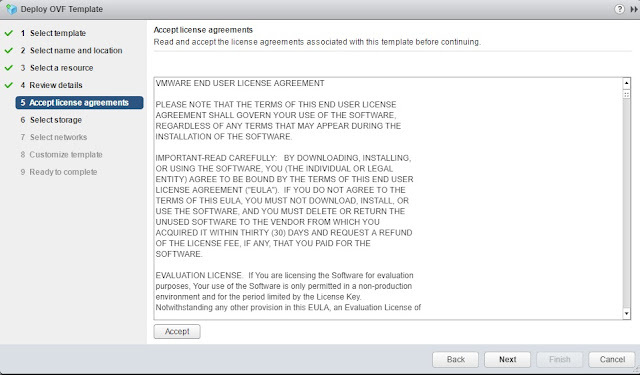 If you installed earlier versions of vRealize Automation, be aware of changes in the installation process for this release. 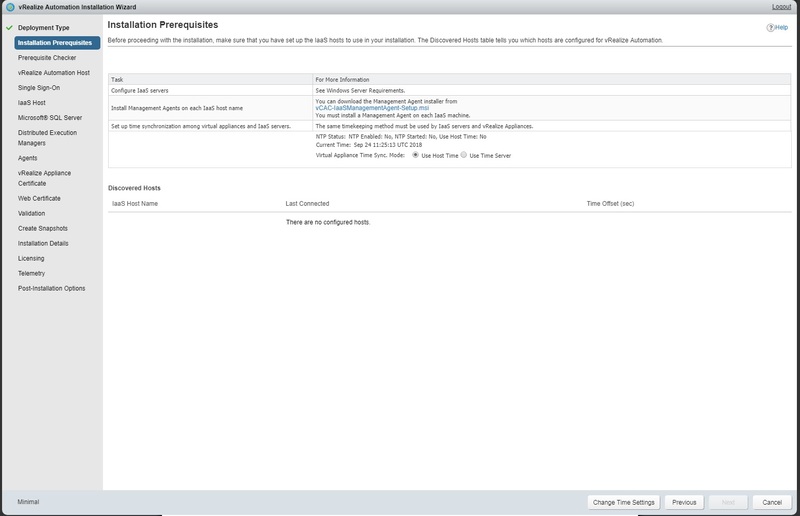 This release simplifies the vRealize Automation appliance node removal process. The vRealize Automation appliance administration interface has changed. Database tab features have moved to the Cluster tab. The Database tab has been removed, and the Cluster tab has become a primary tab. 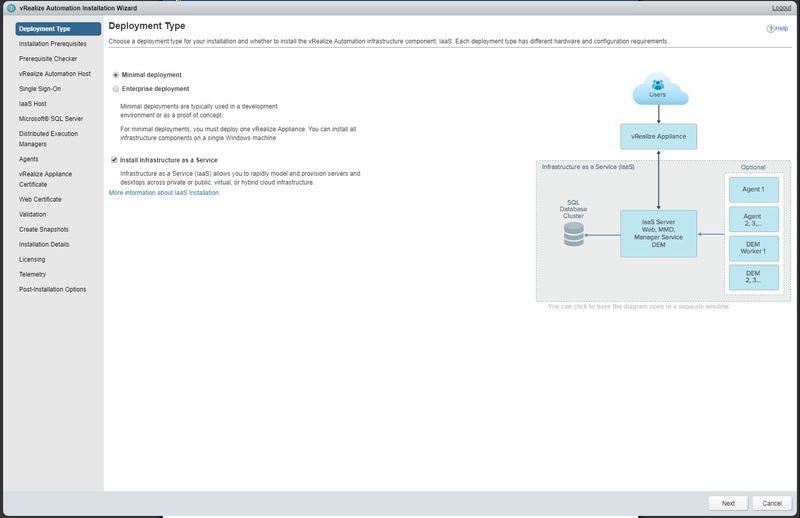 The Migration tab has become a primary tab and now includes vRealize Automation and vRealize Orchestrator migration. The support bundle option has moved to the Logs tab. 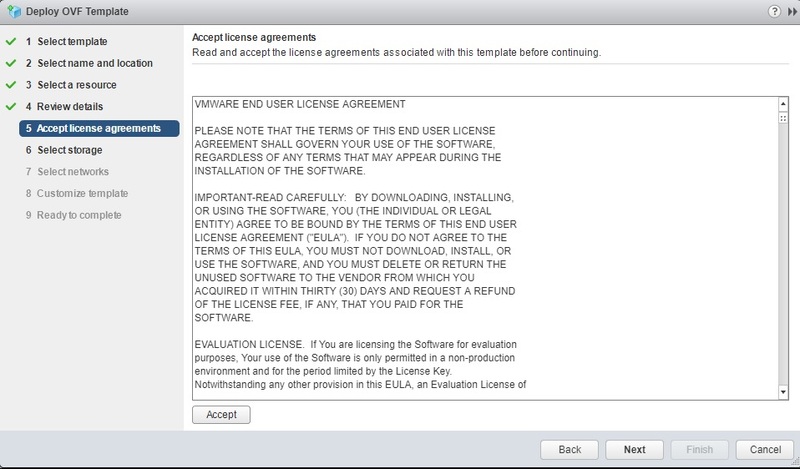 vRealize Code Stream has been removed from the Licensing tab. 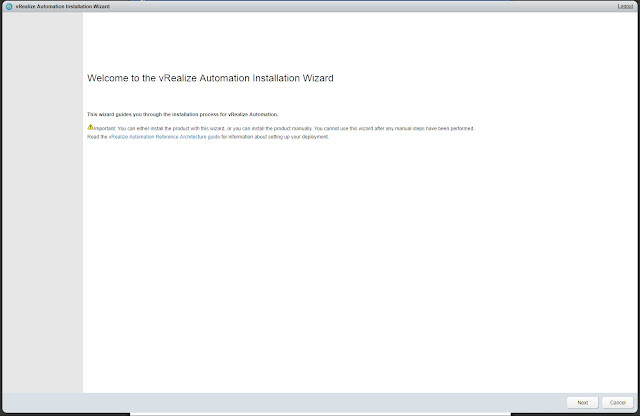 The vRealize Automation appliance performs several functions central to vRealize Automation. 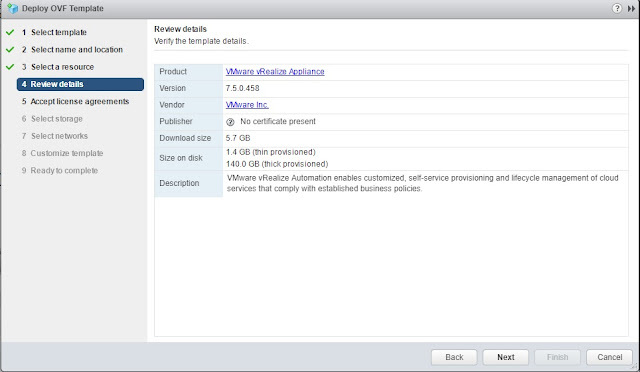 The appliance contains the server that hosts the vRealize Automation product portal, where users log in to access self-service provisioning and management of cloud services. 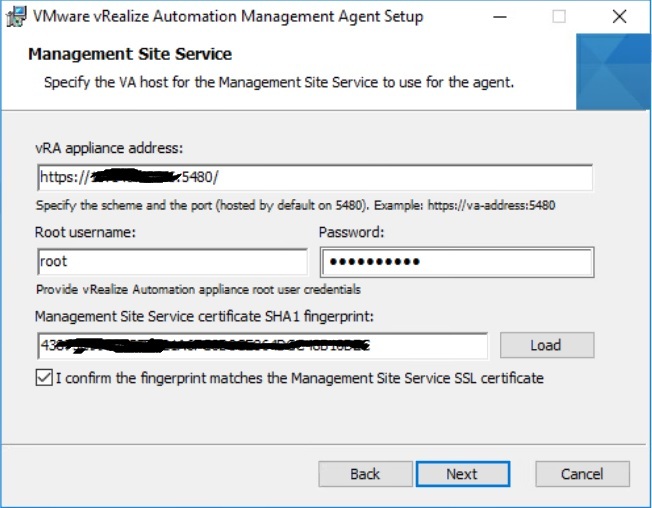 The appliance manages single sign-on (SSO) for user authorization and authentication. 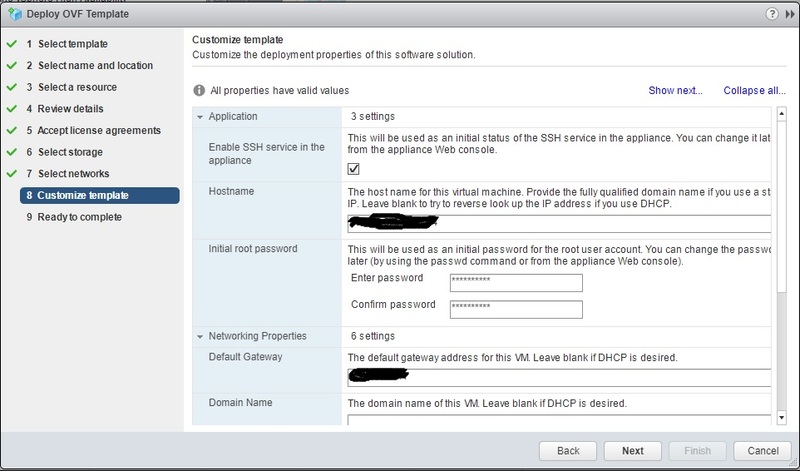 The appliance server hosts a management interface for vRealize Automation appliance settings. The appliance includes a preconfigured PostgreSQL database used for internal vRealize Automation appliance operations. 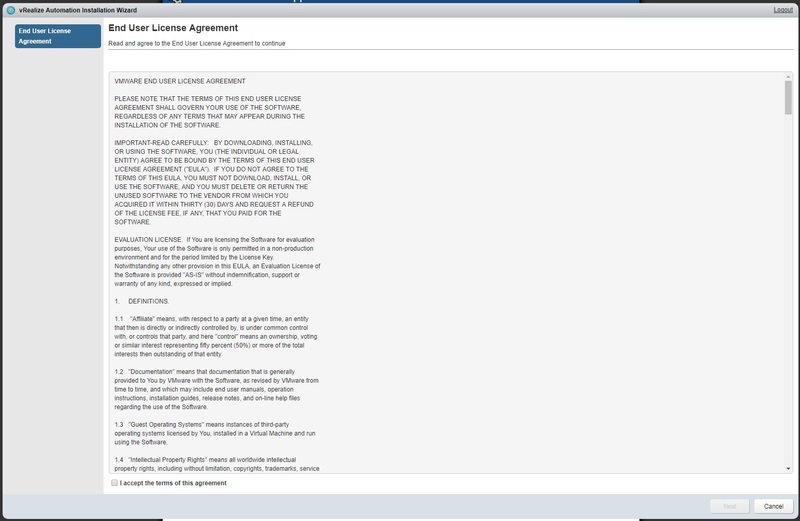 The appliance includes a preconfigured instance of vRealize Orchestrator. 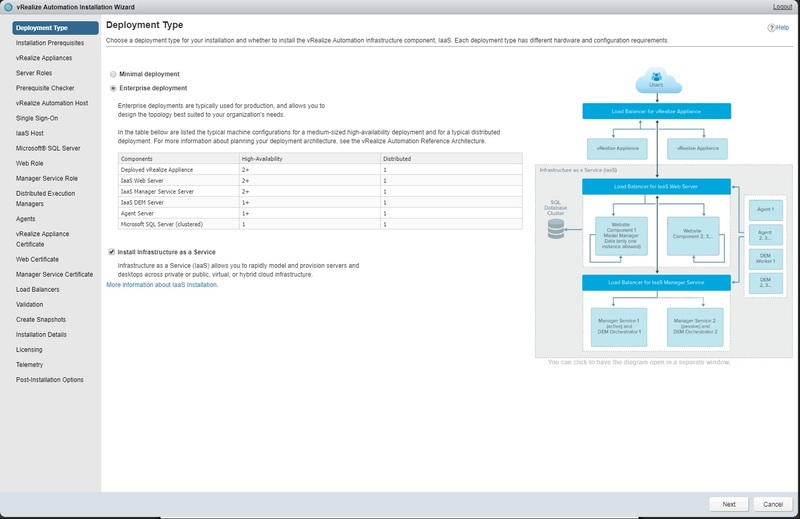 vRealize Automation uses vRealize Orchestrator workflows and actions to extend its capabilities. 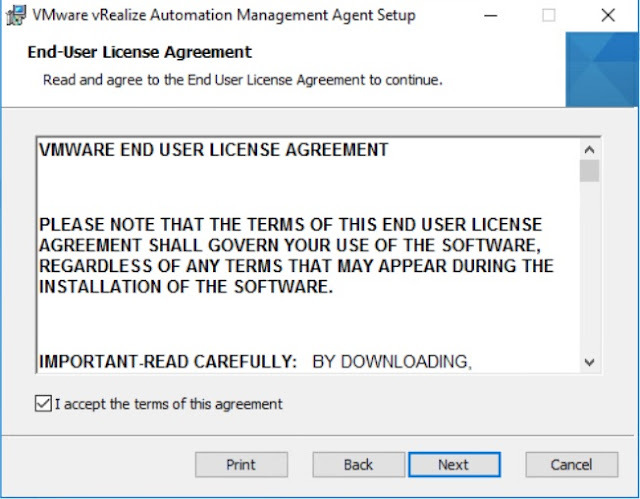 The appliance contains the downloadable Management Agent installer. All Windows servers that make up your vRealize Automation IaaS must install the Management Agent. In large deployments with redundant appliances, the secondary appliance databases serve as replicas to provide high availability. The embedded instance of vRealize Orchestrator is now recommended. 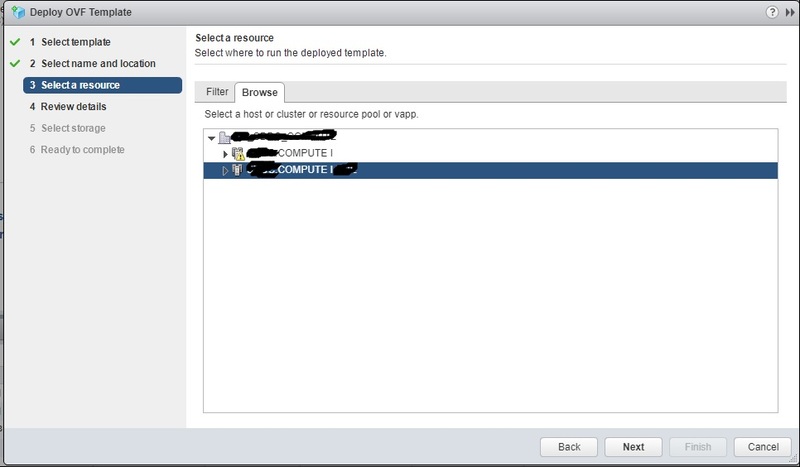 In older deployments or special cases, however, users might connect vRealize Automation to an external vRealize Orchestrator instead. Before you can take any of the installation paths, vRealize Automation requires that you deploy at least one vRealize Automation appliance. 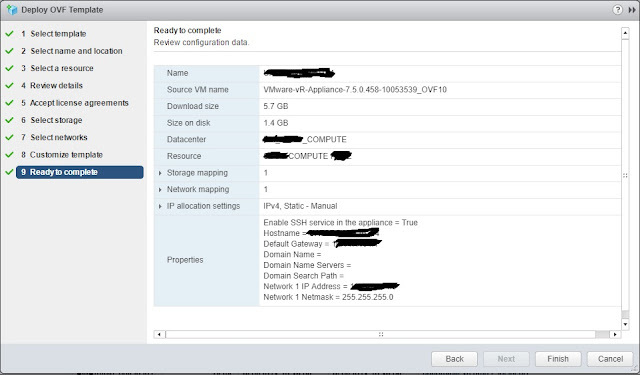 To create the appliance, you use the vSphere Client to download and deploy a partially configured virtual machine from a template. You might need to perform the procedure more than once, if you expect to create an enterprise deployment for high availability and failover. Such a deployment typically has multiple vRealize Automation appliances behind a load balancer. Download the vRealize Automation appliance .ovf or .ova file to a location accessible to the vSphere Client. 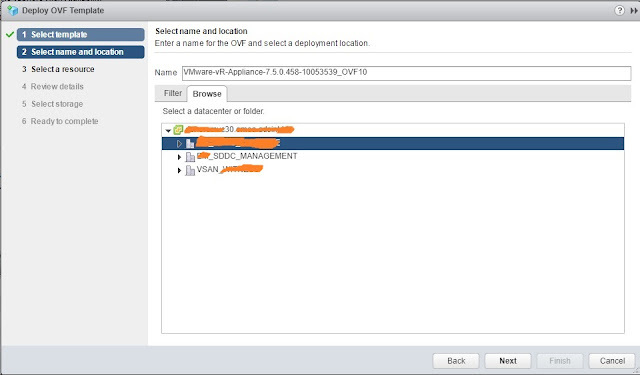 Enter the path to the vRealize Automation appliance .ovf or .ova file. When you deploy appliances, use a different name for each one, and do not include non-alphanumeric characters such as underscores ( _ ) in names. Thick formats improve performance, and thin formats save storage space. Format does not affect appliance disk size. 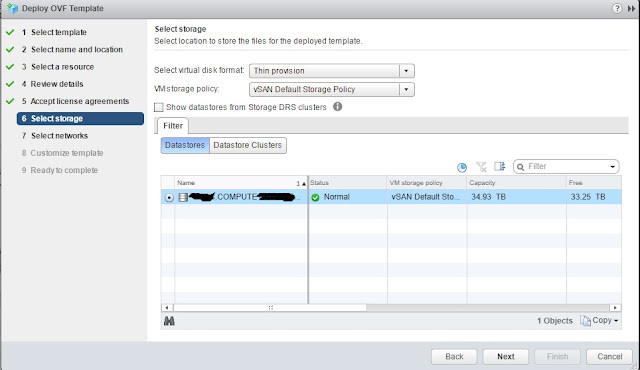 If an appliance needs more space for data, add disk by using vSphere after deploying. Enter and confirm a root password. The root account credentials log you in to the browser-based administration interface hosted by the appliance, or the appliance operating system command-line console. 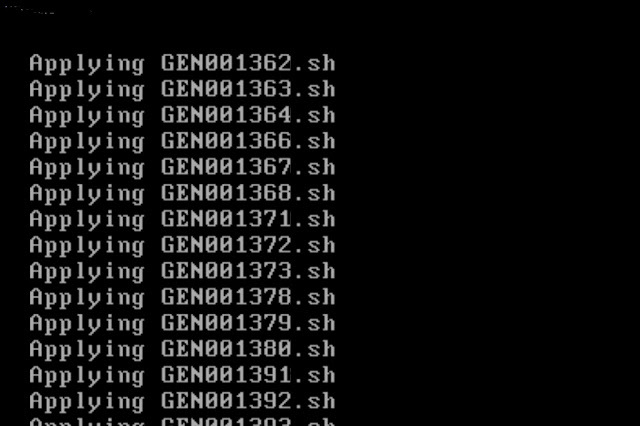 Select whether or not to allow remote SSH connections to the command-line console. Disabling SSH is more secure but requires that you access the console directly in vSphere instead of through a separate terminal client. 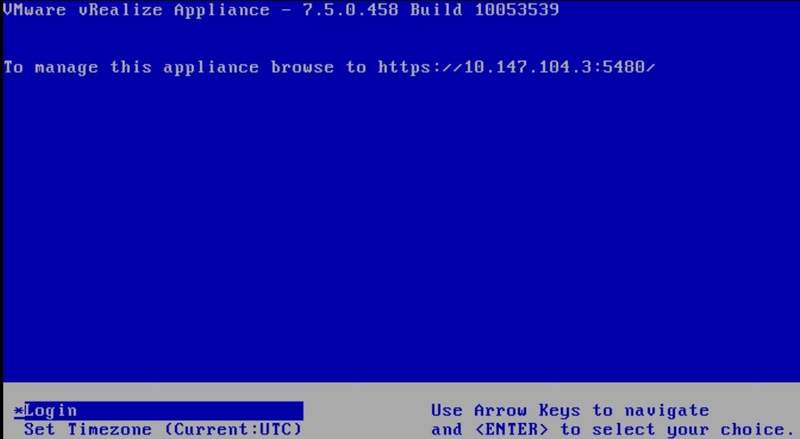 For Hostname, enter the appliance FQDN. For best results, enter the FQDN even if using DHCP. vRealize Automation supports DHCP, but static IP addresses are recommended for production deployments. In Network Properties, when using static IP addresses, enter the values for gateway, netmask, and DNS servers. 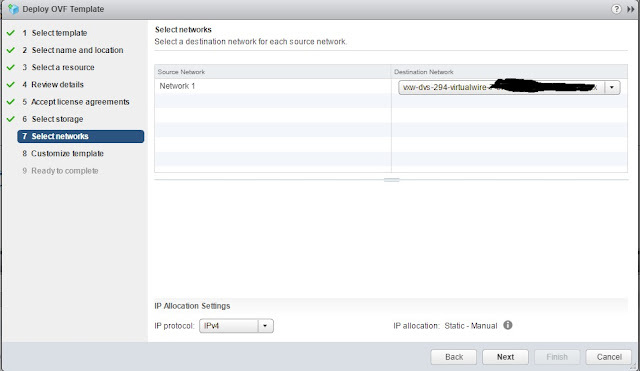 You must also enter the IP address, FQDN, and domain for the appliance itself, as shown in the following example. When you submit the request the deployment work flow starts. This workflow firstly deploys the appliance and once the deployment finishes the VM will be powered ON. You can watch the installation/initialisation steps in the console. 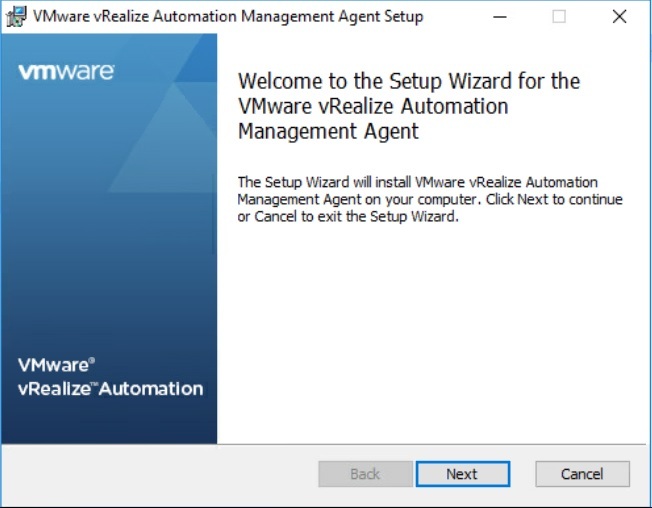 The initial setup would take few minutes and VM lands in initial/welcome screen. Minimal deployments use just one vRealize Automation appliance and one Windows server that hosts IaaS components. In minimal deployments, you may host the IaaS database on a separate SQL Server system, or install SQL on the IaaS Windows server. Enterprise deployments involve multiple, separate appliances and Windows hosts, typically with load balancing. Enterprise deployments also permit you to host the IaaS database on a separate SQL Server system or on one of the IaaS Windows servers. When you select an enterprise deployment, additional Installation Wizard pages appear in the summary list at the left of the wizard. The Infrastructure as a Service (IaaS) option selects whether or not to configure existing Windows machines with vRealize Automation modeling and provisioning capabilities. When you select IaaS, additional Installation Wizard pages appear in the summary list at the left of the wizard. For a Windows machine to serve as an IaaS component host, you must download and install vCAC-IaaSManagementAgent-Setup.msi on the Windows machine. Management Agent installation requires communication with a running vRealize Automation appliance. 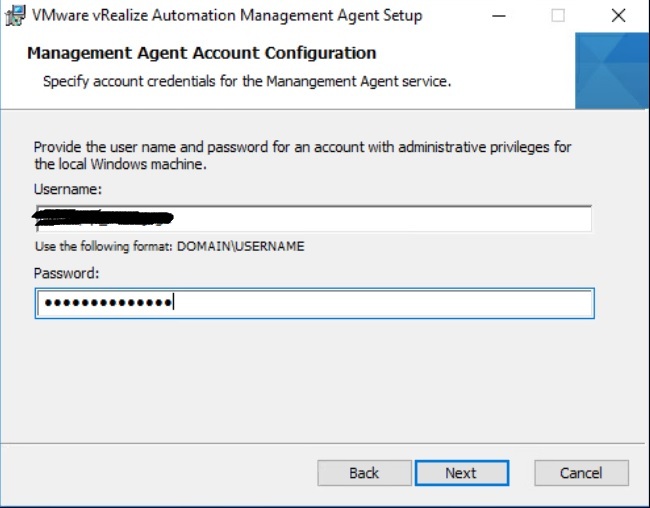 Each time that you install the Management Agent on Windows, that system becomes uniquely tied to the specific appliance and deployment. Potential IaaS Windows servers that have the correct Management Agent installed appear under Discovered Hosts. To have the Installation Wizard ignore a discovered host, click Delete. Deleting a Windows host does not remove its Management Agent. To uninstall the agent, use the Add or Remove Programs feature directly in Windows. 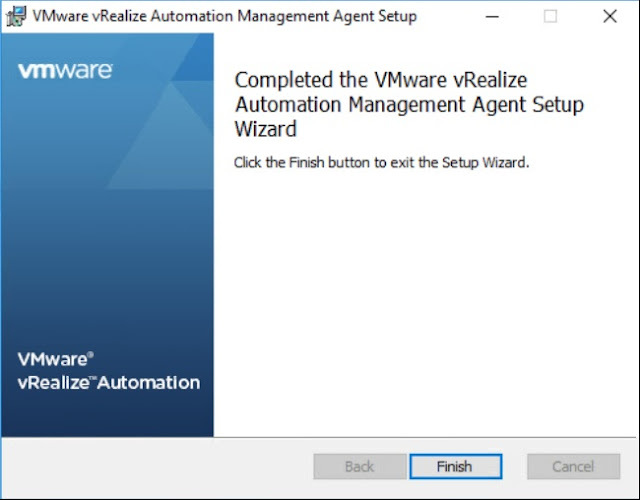 Once the installation finishes, switch back to the vRA 7.5 configuration wizard and look for the agent status. 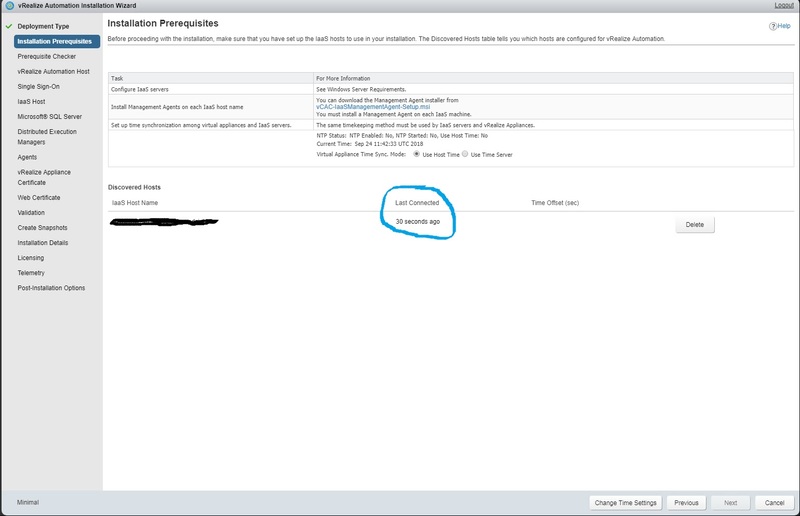 As above you would be able to see the last sync details of the agent with the vRealize automation appliance. Proceed with the configuration of Iaas and the DB. Further steps are pretty much easier as like the previous versions and I would cover the screen shots in the next thread.